WHEN you're being paid roughly $A60 million a year to drive the world's fastest cars in a different country each week, the bills - however extravagant - would surely fall by the wayside. Private jets, accommodation and celebrations all come under the umbrella for Ferrari heavyweight Sebastian Vettel, but the German star may be a tad more thrifty than his rockstar lifestyle suggests. 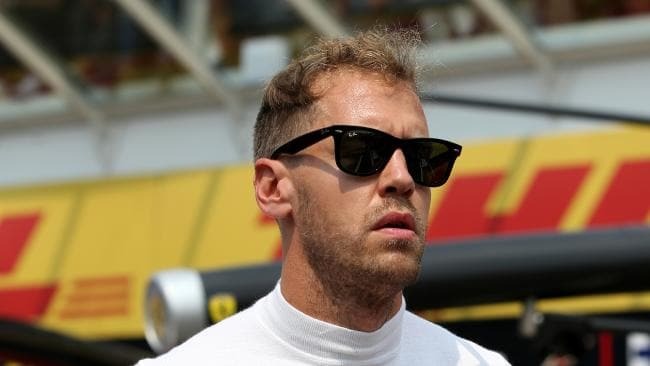 A recent report from motorsport journalist Michael Schmidt uncovered a golden penny-pinching move from Vettel midway through Formula One's chaotic three-week period covering the French, Austrian and English Grand Prixs. Vettel flew a rented jet to Le Castellet in France but refused to pay the surge-priced rate £2500 ($A3918) at the hotel next door. He instead chose to live in a motorhome for the Grand Prix weekend, but even that raised a few complications. A fee of £15,000 ($A23,000) to park the Ferrari motorhome on the grounds of the French track was put forward to the German. 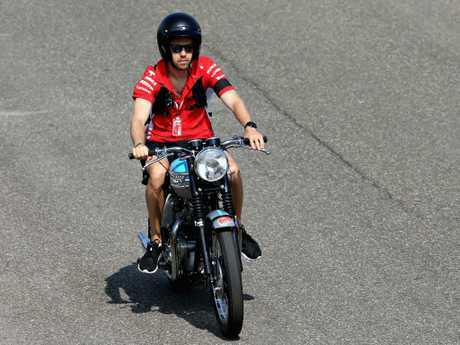 Rather than pay a third of the average Aussie's yearly wage for a parking spot, Vettel drove 8km away and opted to ride his Triumph motorbike to the track each day. A couple of litres of fuel for the four-stroke seems a bit cheaper than a 23 grand parking spot, right? All in all, it wasn't a great trip to France for the German, who finished fifth behind Daniel Ricciardo, Kimi Raikkonen, Max Verstappen and race winner Lewis Hamilton. Vettel said the F1's historic move to race in three countries in three weeks wasn't too taxing on the drivers despite having an increased workload. "For us drivers, three races in a row are the least stressful. We just have to adapt our training. The worst hit is the mechanics," Vettel said of the three-race burst.